Google Glass Enterprise Edition isn’t a terrible product. That’s one surprise, given the track record of the consumer version of this head-mounted display. Another surprise is that it is not available to any business. Google has decided to partner with other companies to make the device that’s suited specifically to a vertical industry—say, medical or manufacturing. There’s no way to simply purchase the device online, even if you intend to use it for business. Now, if you want to use the Enterprise model, you’ll only be able to buy them through a partner, such as Augmedix or Proceedix. Google allows these companies to use the basic UI framework and then augment it with their own software. Most important, the companies provide the training and support for the product itself, which means Google is using the Android model for distribution. They make the brain, other companies make the hardware. This is a problem, though. As business starts to adopt a consumer model that relies on business best practices and procedures rather than a strict hardware roll-out strategy, it seems like Google is stepping back in time. Today, you can likely use an iPhone and a Mac in a corporate job without getting into a firestorm. You’ll need to follow the rules set in place, the standards that dictate which apps you can use and how to authenticate. But in my experience, the floodgates are opening for consumer devices that employees use for their jobs. Enterprise Edition is the exact opposite. One check at the Google X site, and it’s obvious the idea is to make some sort of investment in the product—a mass roll-out to all employees. Google wants you to have a discussion about how your clinic will use the device or how the people in the warehouse will benefit from the pop-up messages. This is the classic enterprise computing sales cycle, one that is getting seriously outdated. My main issue is that this is untested technology. Head-mounted displays never became more than a fad, and it’s not clear at all how these gadgets will play a role in a future societies—if we will use them at all. We don’t know if people will be able to use them for long periods of time, and we don’t know if there are clear benefits. Why stick a company with 100 of them? The strategy is now more of a hand-holding exercise, one that likely involves some proof-of-concept sales demos and discussions about customization. But a person is still wearing the goggles. We still look ridiculous. They still don’t quite look right. There are still privacy issues. A better approach would be to stick with the consumer angle, make the basic goggles much cheaper, and let them germinate in the consumer and business market at the same time. 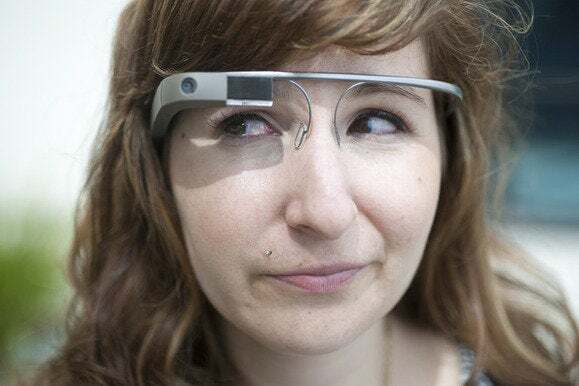 Let Glass become a mainstream device, and it will eventually become more viable in business. Doing things in the opposite direction just seems like a recipe for disaster.